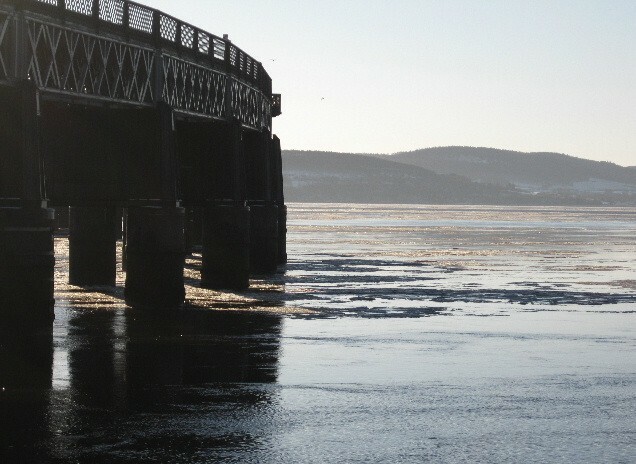 With thanks to Angela Mehlert, a rather superb photograph of ice on the River Tay, by the rail bridge – taken on Christmas Eve. 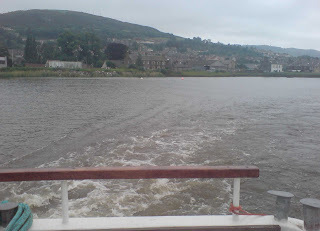 Yesterday, at the invitation of Fife Council, I attended a boat trip up the Tay from Newburgh to Perth and back to look at and discuss the Tay Regeneration Project. 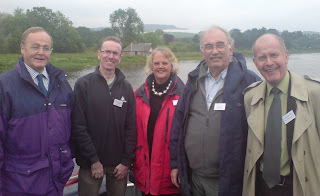 The picture (right) is of Newburgh as the boat left and the one (below right) is of the group of LibDem councillors who attended – from the right Cllr Andrew Arbuckle (Fife Council), me, Cllr Maggie Taylor (Fife Council), Cllr George Hayton (Perth & Kinross Council) and Cllr Willie Wilson (Perth and Kinross Council). West End Community Council met last night and the dominant issue came from a large group of parents concerned about the situation affecting Bellfield Nursery. I made clear that it is vitally important that parents and anyone else with a concern about the proposal to merge the nursery with Park Place Nursery takes part in the consultation process and raises their concerns directly with the Director of Education. I have already myself raised issues with her following speaking with parents. 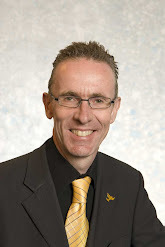 There were a number of other issues raised at the meeting, including litter – on this I have been in touch with Waste Management about litter enforcement in the Perth Road area. A constituent has contacted to say that, in the past, the grass verges on Perth Road at Clovis Duveau Drive and within the technology park have been well kept. However, this year, the grass verges haven’t as yet been cut and are looking very wild. I have today taken up the matter with Scottish Enterprise Tayside who own the ground here.